September 9, 1935 – A proposal to extend Wacker Drive from where it ends at Michigan Avenue by building a road east to the point where it is expected to join the new outer drive bridge is brought up in the City Council. The estimated cost of the project, which will allow traffic from the west side of the Loop to reach the outer drive, is $1,700,000. When the ordinance is read, Twenty-Fifth Ward Alderman James B. Bowler asks that consideration also be given to the extension of Wacker Drive along the south branch of the river from its present end at Madison Street to Roosevelt or Cermak Roads “in order to provide a connecting link with whatever superhighways might be constructed in the future to serve the west side.” [Chicago Daily Tribune, September 10, 1935] As it turned out, the extension of Wacker Drive to Lake Shore Drive was not completed until 1975, 40 years after the city council considered the resolution in 1935. Even in the City that Works change can take a long, long time. 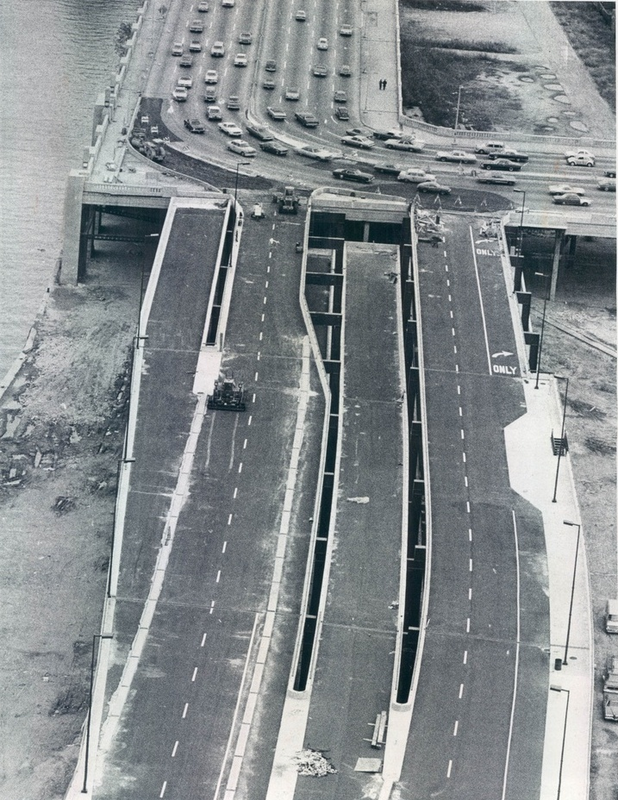 The above photo shows the completion of work on the Wacker Drive extension in 1975. 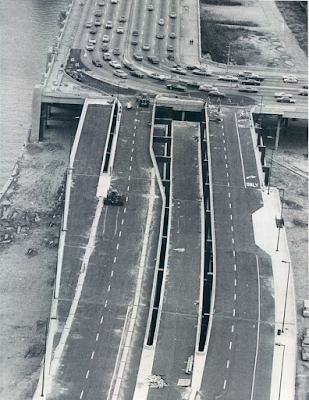 At that time it linked up with the old "S" curve south of the Lake Shore Drive bridge across the river. 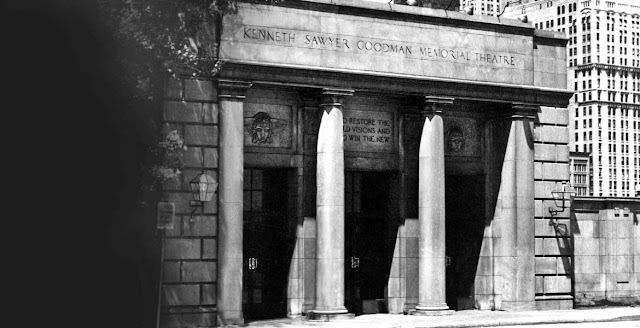 September 9, 1975 – The trustees of the Art Institute of Chicago announce that no new students will be admitted to the Goodman School of Drama and the final class will graduate in the spring of 1978. The chairman of the Goodman Theater committee, Stanley M. Freehling, says that it costs the Art Institute $200,000 a year to maintain a school of 25 faculty members for students who pay an average annual tuition of $1,950. It is stated that the decision concerning the school will not affect the professional theater at the Goodman or future seasons on its main stage. The school moved to DePaul University in 1977, and the following year the Goodman Theater separated officially from the Art Institute and now functions as the nonprofit Chicago Theatre Group, Inc.